Camp NaNoWriMo is only a few short days away, and I’m excited! 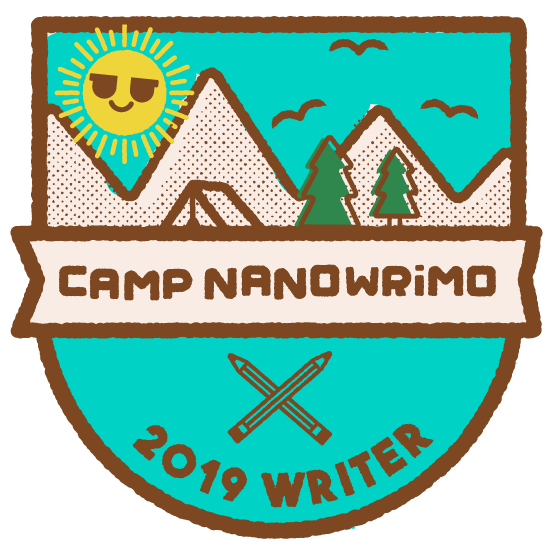 For those not in the know, Camp NanoWrimo is the love child of NanoWriMo, a time away from the vigorous expectation of the elder namesake and it’s 50,000 words within a single month of craziness. My story idea is a new one that I’ve been developing: a child not too school savvy who has fallen in love with only one book of his life, and it ends with a cliffhanger. The need to find the sequel to the book is strong, but it seems the author never got around to making it! What’s a kid to do? Give up?! Obviously, the answer is no! One of my favorite features of the Camp experience is that YOU, the amazing writer with a million other responsibilities, get to make your own manageable goal. Forget the NaNoWriMo box; create your own! This month I will try to write 30,000, which is about 30,000 more than I wrote for the month of February. Ok I lied, I spent some time writing poetry. But drafting stories is a mixture of feeling almost godlike to being reduced to a mere mortal within the same breath. It’s not good for the blood pressure some days. Which is why the second unique feature of CampNanoWrimo is so valuable: bunkmates! In a forum-based discussion group, you are paired with various people (or create your own cabin) to have a support group. So far my bunkmates are ready for action! Anyone else participating in CampNaNoWriMo this year? Friday is almost here, which means that Children of the Planes will be released into the world! My husband who is my biggest creative cheerleader and proudly serves his country. Without him making the choices that he has made, there wouldn’t have been any need to write a book about coping with deployment. My kids deserve the biggest shout out. They pushed me to create this story, brainstormed ideas with me, and were my beta readers. I may have been a bit crazy at times trying to form ideas or asking a million questions, but they took it like champs. Seriously, this book should have their names on it too. My mother for her motherly intuition to know that I’d be a published author someday. Aunt Mo for being the first Allaire family writing trailblazer. Check out her own published series at mjallaire.com. The Shenanigans Crew for always being there, reading my work when I needed a set of grown up eyes, and for celebrating my successes like they were your own. Joan and Kelli, the other lady leaders of our little crew. You are my village. Their kids are like my very own, hence why they appear within this book. The Gabriele family for letting me burrow in the corner to write while the children took karate classes. Sometimes that was the only time in the day I was able to write. Miss Julie for taking the time to help revise this story. I can be a hot mess of a writer. If you don’t see the hot mess, it’s because Julie caught it. Last, but not least, there were many more who have supported my journey, friends and family who were excited when I shared news about my progress or have promised to purchase the book. I can’t thank you all enough for being part of my original fan base! 2018 was an incredible year for me. I became a champion of both CampNaNoWrimo and NaNoWrimo. I started this website to promote my work. I created a Twitter platform and have 880 followers. I graduated with a B.A. in Creative Writing and English from Southern New Hampshire University. I earned the Lavender Award for my championship of LGBTQ inclusivity on the college campus I work for. And I completed my Women’s Study certificate. I finished the Children of the Planes novel and completed the rough draft of its sequel. Finally, I became a published author. All humble bragging aside, what great feats did you all accomplish this year? What goes have you set for yourself for 2019? I know what my Christmas gift from my son is. I had commented during a poetry segment in his Language Arts course that I thought he was an amazing poet and that he should think about continuing on with the art form after the course was over. He is now in the working stages of creating me a book of his poetry!!! To commemorate my son’s future as a poet, I am releasing, via my blog, a poem that I have written. It is featured in Scholarly Creative Writing, so if you’ve already purchased my book, it isn’t new (sorry). Thus concludes National Novel Writing Month, and with it the Nanowrimo challenge. If you remember, I was taking National Novel Writing Month TO THE EXTREME! Some were able to make it to champion status. Others didn’t, but they have more words than when theystarted, and I hope they continue to bring their ideas to fruition. The most important lesson that this month taught me as a writer,is the need for discipline. That seems an ironic concept, as I trained in the martial arts for a few years, especially with the mindset that what you learn on the mats transcends into your every day lives. Even if you don’t have a game plan for the writing, you have to have a game plan of when and what you’ll be working on each day or it won’t work. And if your schedule is as crazy as mine is, you really do need to pencil in times to write. Writing is also like a muscle. You can likely finish a 10k without a training, but it won’t happen in the same time frame than someone who has been training for the big day. I was only successful because I have been working out almost every day… on writing. Don’t think I can actually run a 10k or anything. I let the Stackskill thing go to the wayside. Again, from the martial arts, I was conditioned to believe that you must always go back to the fundamentals if you want to succeed, but these fundamentals diverted from my time to get to work. I felt like I was stuck in a lecture that, although brief, I couldn’t get out of. I have about an hour left of Steven King’s On Writing. I’ve enjoyed it some extent,but I can see now why he claims he will never be able to break out of that Suspenseful Literature like he wanted to a few years back. His views on writing are the makings of the own box that he put himself into, but his insights are something that all writers should go through so that they can make conscious choices about their writing. How was everyone else’s National Novel Writing Month? 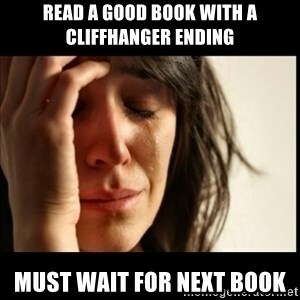 And when is National Novel READING Month?